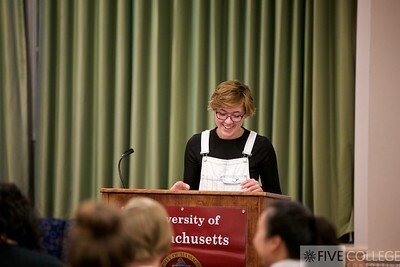 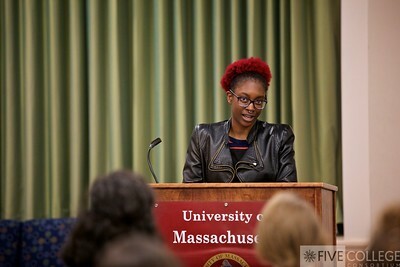 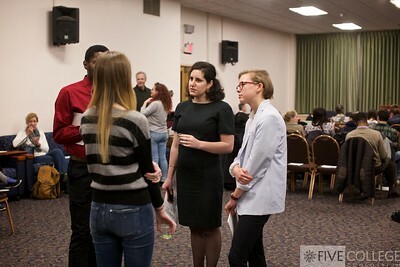 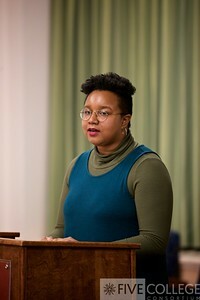 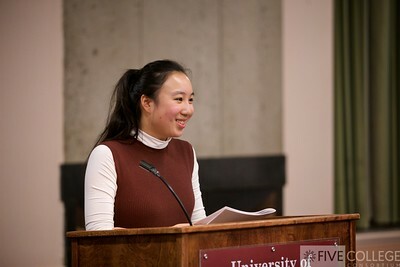 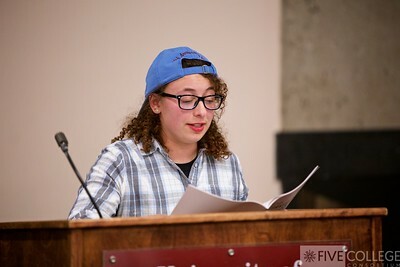 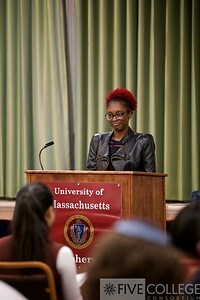 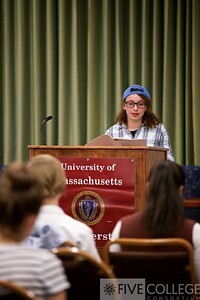 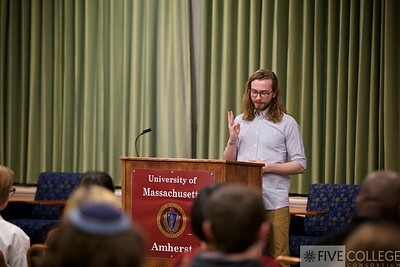 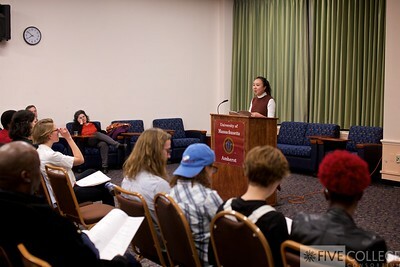 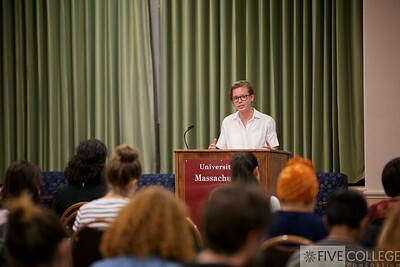 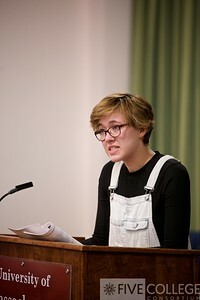 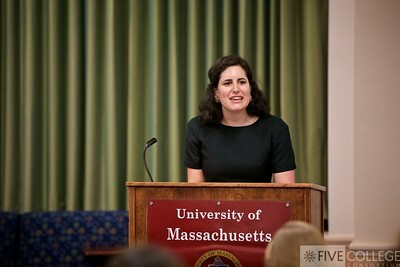 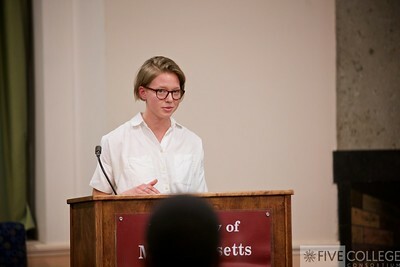 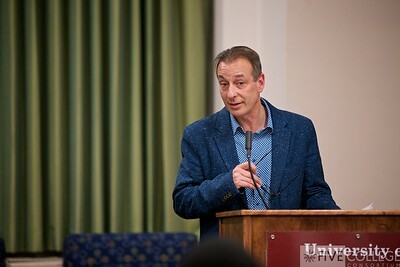 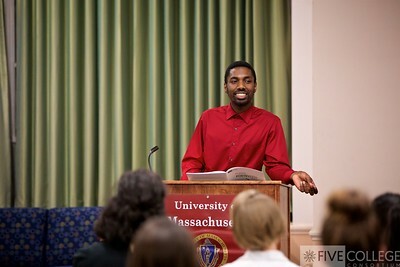 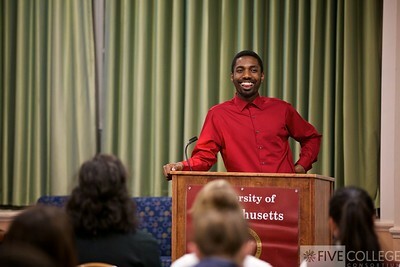 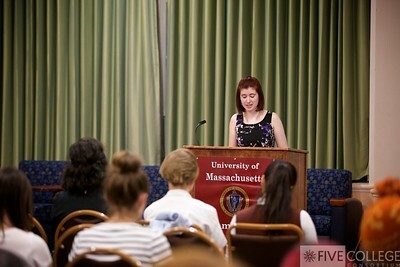 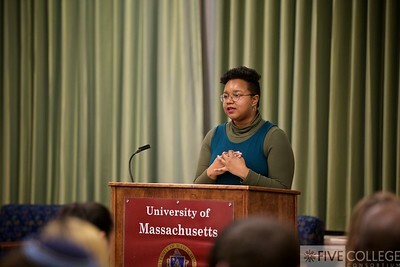 The 15th Annual Five College PoetryFest was held at 7:30 p.m. Wednesday, March 29, in the Cape Cod Lounge in the Student Union at the University of Massachusetts Amherst. 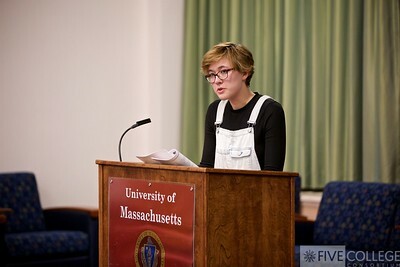 PoetryFest celebrates the quality and range of student poetry with two writers representing Amherst, Hampshire, Mount Holyoke and Smith colleges and the University of Massachusetts Amherst. 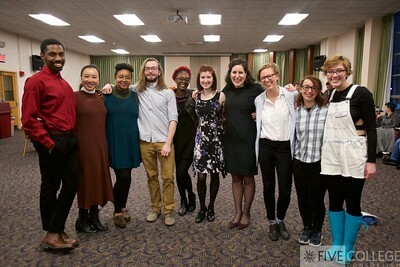 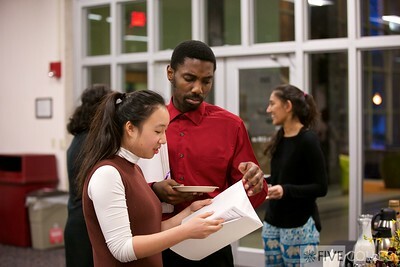 The participants this year were Amir Hall and JinJin Xu of Amherst; Jenna Eve Baillargeon and Destinee Briana Wilson of Hampshire; Katie Clark and Rebecca Pittel of Mount Holyoke; Darwin Pappas-Fernandes and Piera Varela of Smith; and Daniel Godwin and Symone Green of UMass.